We are gearing up for Riverwalk 2015 and this time are planning on traveling (hiking/biking/rafting) from Italy* to Slovenia. We’re out to discover the breathtaking Tagliamento River and return to the amazing, turquoise waters of the Soča River! We are currently taking applications and looking for youth who are interested in helping plan the project from the 3 partner countries: Austria, Italy and Slovenia! Know someone who might be interested? Please let them know about it! * At this time, we already have EU funding secured for the Slovenian part, but are waiting to hear more about the funding for the Italian part. Are you ready to Riverwalk …do the following statements describe you? 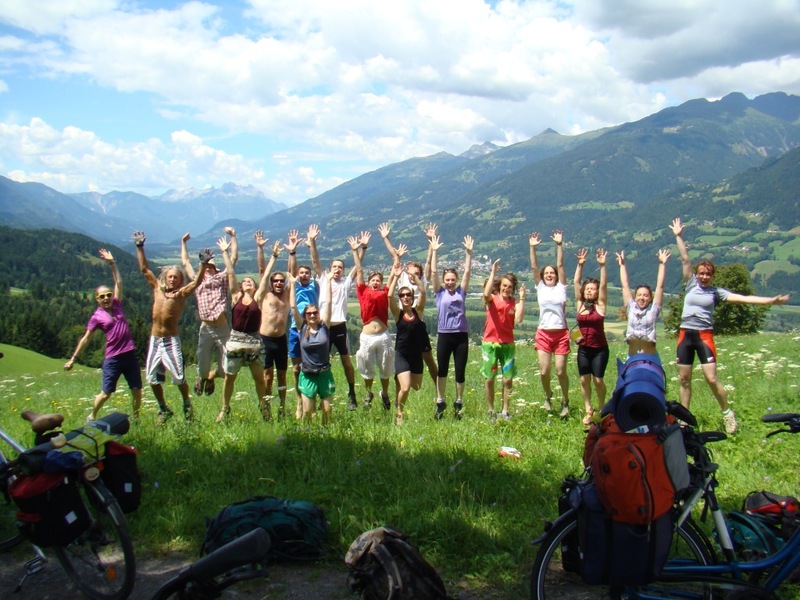 …while you walk, bike, and paddle along wild rivers in Italy and Slovenia during a 2 week* international youth exchange. …who wants to get active for rivers and the environment. …and want to get to know 20 other young people from Austria, Italy and Slovenia, other activists, locals, and experts. 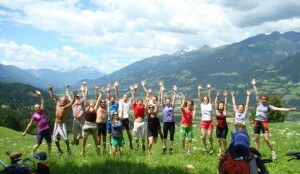 …get active in helping to protect wild and wonderful rivers in the Alps! If you answered, „yes!“ to these questions then you are a good candidate for this project! Apply now to have the chance to join us on this exciting journey from the mountains of northern Italy and the headwaters of the Tagliamento River to the turquoise waters of the Soča River in Slovenia, be part of a great international team and help us discover and protect wild, wonderful rivers! * NOTE: This project has only been partially funded (for the Slovenian part) by an Erasmus+ grant; however, we hope/expect that the Italian part will also be funded. In the event that it is not funded, the Riverwalk will likely only take place in Slovenia for 1 week: 01.-07.09. The Riverwalk 2015, as planned, will start west of Tolmezzo, Italy on the border of Friuli Dolomiti Alps Natural Park on August 24, 2015. From there we will follow the Tagliamento River east, eventually crossing the Slovenian border and meeting up with the Emerald Queen of the Alps – the Soča River and then continue to our final destination: Kobarid, Slovenia on September 7, 2015. The number of free-flowing, intact rivers left in the Alps is dwindling and WWF and many local partners are actively protecting the last wild rivers in the Alps. We want to increase the awareness of the importance of free flowing rivers, connect active and motivated young adults from Austria, Italy, and Slovenia, develop participants’ leadership skills and form deep personal connections to two incredible river systems: the Tagliamento River (Italy) and the Soča River (Slovenia). More info at: Why walk? How much does the Riverwalk cost? In order to secure your place in the project, a participant fee of 50,00 EUR will be collected and must be paid within 3 weeks of being notified of your acceptance on the project team. This fee will help cover all costs (camping fees, meals, outdoor activities, etc. ).